“Where do you come from?” – its a question which is easy for me to answer if it is posed by a non-Indian. However, asked by a fellow Indian this question leaves me puzzled. My paternal and maternal grandparents belonged to the part of Punjab which went to the newly formed Pakistan, after the partition of India, following the end of British rule in 1947. My paternal grandfather came from a family of army servicemen and he, along with his 6 brothers, served in the British army. During the end of the Second World War he was posted in Burma and Bangkok where the Japanese forces surrendered. My maternal grandfather, on the other hand, served as an officer in the civil capacity with the National Cadet Corps (NCC). He settled in New Delhi after the partition of Punjab. After India’s independence, my paternal grandfather was posted in different parts of India. I was born in Patna, a city in the east of India, where the family had settled after my grandfather’s retirement. 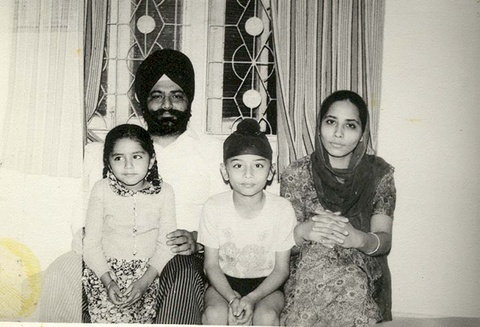 In 1984, when I was 9 years old, the family moved to Jalandhar city in Punjab. I did my schooling in Jalandhar. In 1994, I went to the University in Amritsar where I spent 5 years pursuing bachelor’s and a master’s degree in Human Genetics. In 2000, I moved to Aarhus to do Ph.D., and have been living there since then. It’s almost the similar case of complex identity associated with my professional career. I have always been a person with varied interests and have not shied from pursuing new paths and learning new things. After having an unbroken 10-year brush with the subject of Human Genetics, and doing a very interesting work during my Ph.D. looking for genetic determinants of Human longevity, I somewhat changed my path. Post Ph.D., for the next six years, I worked on innovative projects focusing on rare cell detection, first developing methods for detection of circulating tumor cells, and then searching for biomarkers for the enrichment of fetal cells from pregnant women’s blood, which have immense prenatal diagnostic potential. In 2011, I took another leap when I enrolled for a Full-time MBA course at Aarhus School of Business (now called School of Business and Social Sciences, Aarhus University). The focus of the MBA was on sustainable business development – how corporations can continue to earn the profit and at the same time engage in practices to take care of their employees and the society where they do their businesses, also dubbed as the ‘triple bottom line’. Post MBA I worked on brief projects in Grundfos A/S, world’s largest producer of water pumps, and The LEGO Group, manufacturers of LEGO, where I consulted the companies on the strategic viability of their sustainability initiatives and communication. Currently, I am working as a Chief Operating Officer in a Danish Biotech company called ARCEDI Biotech, where we are developing technologies for risk-free prenatal diagnostics. 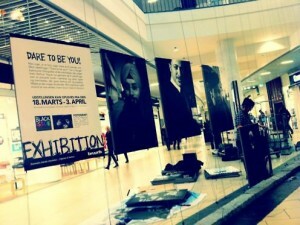 “Dare to be you” – A photo-exhibition by Photopop in a mall in Aarhus in 2011, showcasing some of the different ‘faces’ of Aarhus. 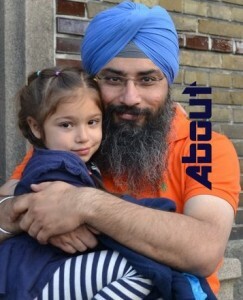 In 2009, cashing on the mood of the ever growing Indian community in Aarhus, I created a website called www.indiansinaarhus.com. This has proven to be an important forum for the expatriates and also everyone who is interested in India and its cultural diversity. In June 2013, I co-founded a non-profit organisation called DMFA (www.dmfa.dk), with the idea of supporting development projects in Mijwan, a village in central India. Communication of complex information into easy to understand presentations has also been my passion. I have worked as a journalist with an English language daily,’The Indian Express’, and as a science talk presenter in All India Radio. My passion drives me and I am quite intuitive. Creativity has always been at the bottom line of what I do. Photography, videography, sketching, playing tabla and creative writing are some interests that often captivate me from time to time. In 2015, I created a photo exhibition called ‘Time Travel Aarhus‘ which showcased the metamorphosis of Aarhus city in the last 100 years. The exhibition was launched in Musikhuset Aarhus, the concert hall in Aarhus, in February 2015, and since then has been hosted at the following venues: Statsbiblioteket (University Library), Aarhus University Hospital, Bruuns Galleri, AAK and Dupont. In Aarhus, I live with my wife who comes from Italy and our three multilingual kids. A few years back, after doing several rounds of updates to my CV, I realised that it didn’t tell the complete story. Bullet points, after all, are bullet points. With this idea of increasing the circumference of the bullet points and also coloring them a little bit, I decided to make a narrative CV, which came into being in the form of this website. Apart from narrating some of my stories behind choosing a certain career path, this website will showcase my work and my interests. You are welcome to get in touch with me at contact@ripudaman.info with queries and comments.